In early 2011, America’s retail giant, Target, announced its expansion plans into Canada with the acquisition of leaseholds from Canadian-owned Zellers. 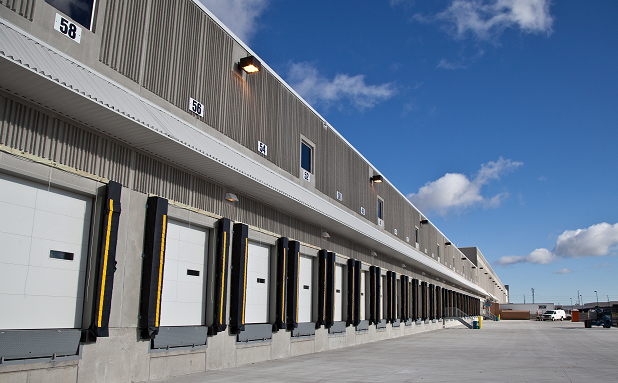 Crozier & Associates, working closely with MHBC Planning, was awarded carriage of its planned Ontario distribution centres in Cornwall and Milton. Evaluation of site options and preliminary engineering in support of planning approvals for Target’s 1.3 million square-foot facility located on a 169 acre parcel of land in Cornwall’s Business Park began in March of 2011 followed closely by Milton’s 79 acre, 1.3 million square-foot facility on Boston Church Road. Rapid progress was achieved through marshaled resources and early collaboration between the project team and regulatory agencies including Town of Milton, Region of Halton, Conservation Halton, Ministries of Transportation and Environment, CN Rail, City of Cornwall, Trans-Northern Pipeline Company and other utility companies. Our firm maintained a full-time presence on both construction sites to oversee installation of all civil infrastructure. By December 2012, Crozier & Associates had successfully expedited the aggressive timelines associated with these large-scale projects, in tandem, from evaluation, through design to construction of the site services, grading and stormwater management. COPYRIGHT 2019. C.F. CROZIER & ASSOCIATES INC.